As I previously mentioned the first sessions of recording made in Portugal take place in the year of 1900 in the city of OPORTO, in the north of Portugal. Ten years later Portugal has become a Republic, after almost 900 years of kings ans queens. 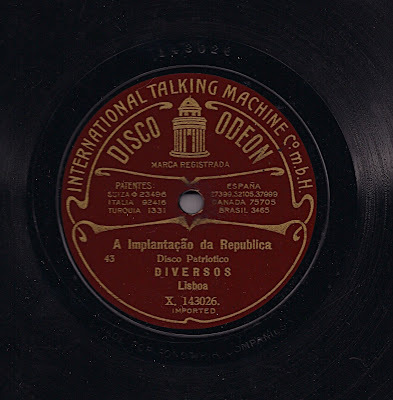 This records has been released to commemorate the revolution that takes place on the 5 of October of 1910. 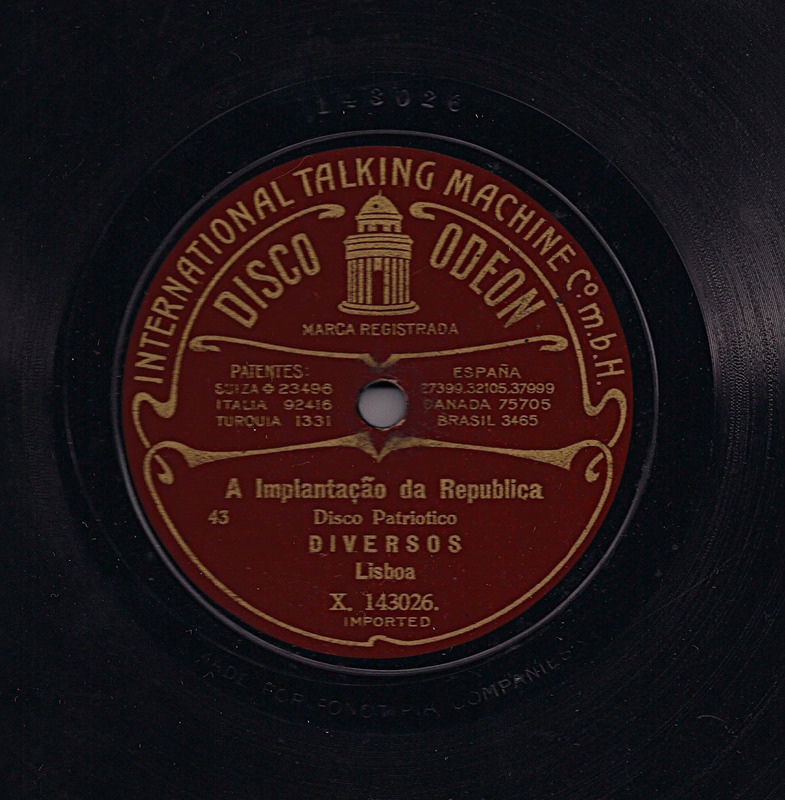 The name in the record "A Implantação da República"can be translated to "The Implantation of Republic". This a reproduction of what happens in that day. We can listen the voices of the revolutionary militars during the combat. We have the intention of release a serie of CD´s bring to the public all this sounds that have been kept in the private collections. This is not an easy task because of all the work envolved, specially if we want to make a good digitalizations. This envolves a lot of money and we need to get some support from the instituions. This blog pretends to show many of the records we have in our archives to see if we can get attention to get the necessary funds to go ahead with our main proposal.